My friend and champion racer John Goss has been awarded a Medal of Australia in the 2018 Queen’s Birthday Honours List. Congratulations Gossy. Irrepressible, unbelievable, and an unreal driver. On his day, John Goss was unbeatable. He’s been a household name in Australian motor sport for almost 50 years, starting out in Tasmania, like many other racing aspirants, in a Holden FJ and even at one time a Ford Customline. He moved to Melbourne and developed his self-built Tornado Ford sports racing car, scoring points in the Australian Sports Car Championship in 1969 and 1970. In 1969 Gossy also entered the new Series Production category in a standard Ford Falcon GTHO. This was the car everyone wanted, it had winner written all over it, and Gossy scored one of the first cars, thanks to his sponsor, Sydney Ford dealer Max McLeod. In 1972 Goss won the Sandown 250 endurance race, and the South Pacific Touring Car Series, driving a Ford Falcon GTHO Phase III. 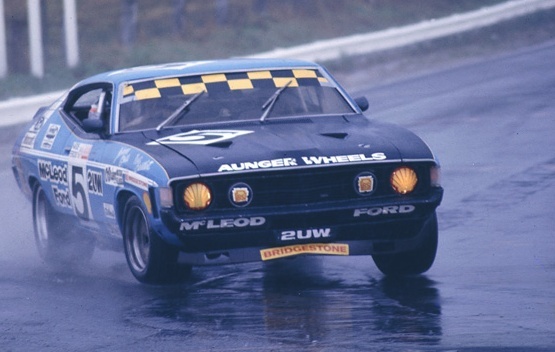 In 1974, teamed with Kevin Bartlett in a Ford Falcon hardtop, the pair won the Hardie Ferodo 1000 at Bathurst’s Mount Panorama circuit in pouring rain. 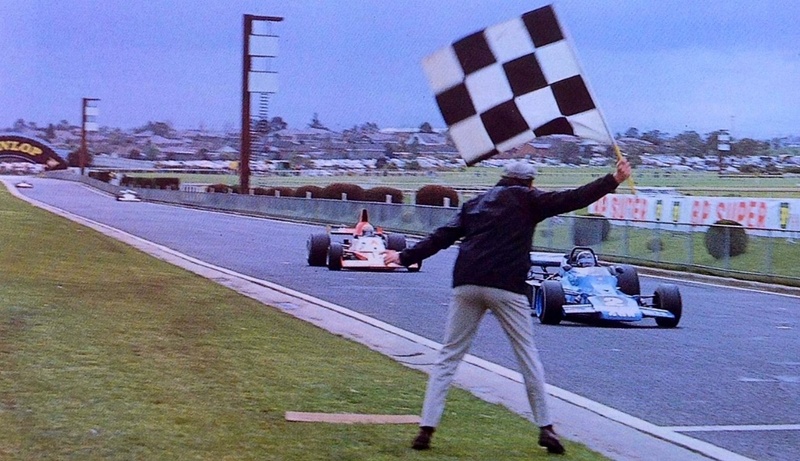 The following year, 1975, Goss moved to open wheelers, entering a Match A53 open wheeler, and he won the Sandown Park round of that year’s Tasman Series. 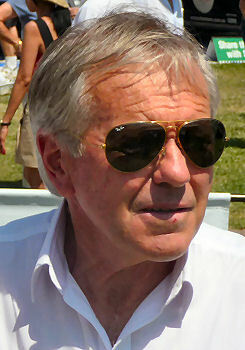 In 1976 John Goss became the only man to win the Bathurst 1000, and the Australian Grand Prix, when he won the championship race, once again at Sandown Park in Melbourne. 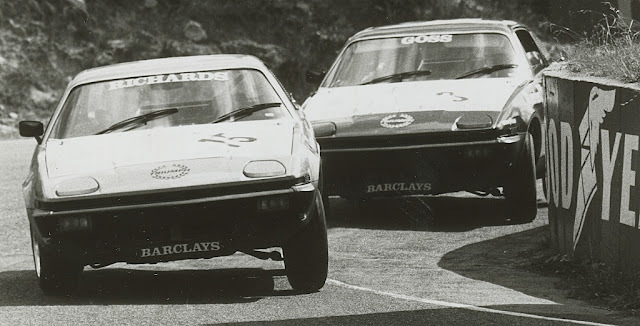 John Goss came into my life in 1980, when I invited him, and six other top level professional Australian drivers to participate in the one-make racing series my company (Leyland Australia) created - the Barclays TR7 Pro Car Series, to promote the poor-selling Triumph TR7. 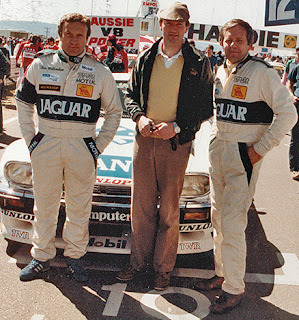 Gossy participated in all seven rounds and we became very good friends, so I should not have been surprised when he asked me to support his private racing efforts in a Jaguar XJ-S in the James Hardie 1000 at Bathurst. Short of time, the car lacked meticulous preparation, and failed to finish in 1980 and 1981, but along the way, via an introduction from me, John had become very close friends with the Chief Engineer of Jaguar Cars, Jim Randle. I think it’s true to say that Jim treated him almost like a son, and after every visit to Browns Lane, Gossy would return, followed by a container full of ‘special bits’ endowed by Randle. All of which helped prepare a more competitive car for the 1982 Bathurst 1000. And then John announced to me that he had invited America’s premier Jaguar racer, Bob Tullius, to be his co-driver for the 1982 James Hardie 1000! John is not short of confidence, or ‘front’ and I was both surprised and delighted that Tullius had agreed to come to Australia. He had vast experience racing the XJ-S in the USA and was able to pass on a great number of tips and tricks to prepare the car. The car ran strongly, but unfortunately did not finish due to suspension failure after 119 laps. 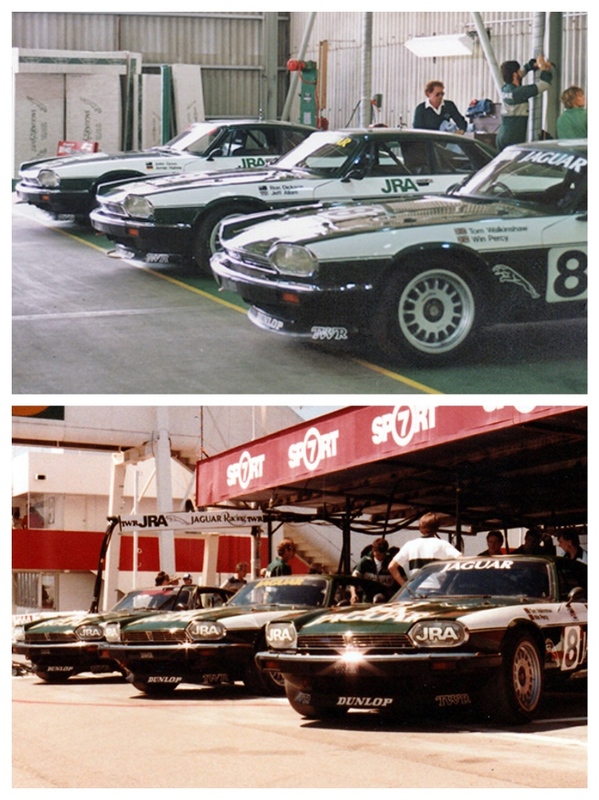 However, this primed John Goss to further campaign the Jaguar coupe, and in 1984 he joined British Jaguar supremo Tom Walkinshaw in a TWR-prepared XJ-S.
Tragedy struck again. As Walkinshaw sat on the grid waiting for the starting flag to fall, the clutch failed, and the Jaguar was hit in the rear and disabled on the grid. 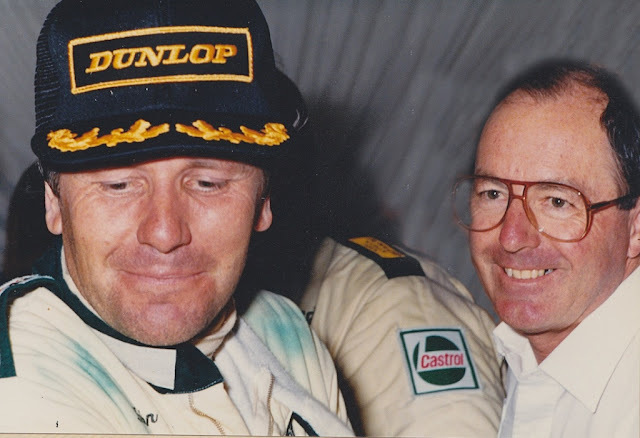 In 1985, Walkinshaw, determined to return to Bathurst victorious, agreed with my company (now called JRA Limited) to field a three-car team and invited Goss to join the driver lineup. Fastest in pre-qualifying Goss started the race in 6th. History records that the TWR Jaguars finished first and third, with John Goss taking the chequered flag after a stirring drive partnered by German ace Armin Hahne. In the closing laps Goss had to contend with a broken seat back, but held on to cross the line, winning the Bathurst 1000 for a second time. John Goss competed a few times over the following two years, but retired from competitive racing in 1987. He’s described as a colourful and entertaining character, with a great sense of humour, and although his plans did not often turn out the way he desired, no one can doubt his commitment, his determination, and most of all his natural driving skill. Well done Gossy, for an honour from your country that you well and truly deserve. 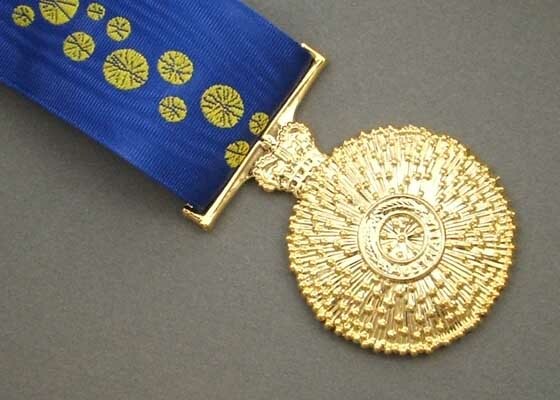 Note: In Australia ‘a gong’ is a slang word describing a medal. SPOILER ALERT! CAR DEALERS TO JOIN THE DODO! HYUNDAI i30 N - IS IT IN THE GOLF GAME? CAN YOU WAIT UNTIL 2019 FOR THE NEW MAZDA 3?